I took a peek at my garden today and found signs of spring: Tulips and daffodils are beginning to burst through the surface. These bits of green – after so many weeks of snow and ice in the DC area – made me finally believe the weather might be heading in a warmer direction. So naturally, I thought this week would be a good one to visit environmental and green living blogs. Mother Jones’s Blue Marble covers the environment and science. I like this blog for a number of reasons, starting with the content and the news bits you can find there. Some recent posts I found interesting include Obama is Ordering the Federal Government to Slash Its Greenhouse Emissions, Wind Energy Will be Cheaper Than Fossil Fuels Within a Decade, and 2014 Was the Biggest Year for Solar Power Ever. In the wind energy piece, blogger Tim McDonnell writes about the fast-growing industry. The blog is dedicated to sharing green ideas, thoughts, and tips to leading a greener lifestyle. It was created by green living enthusiast and lifestyle writer Lori Popkewitz Alper. “A healthy, organic lifestyle not only applies to what we put into our bodies but also to what we put on our bodies,” the blog says. Some ways you can start to do this? 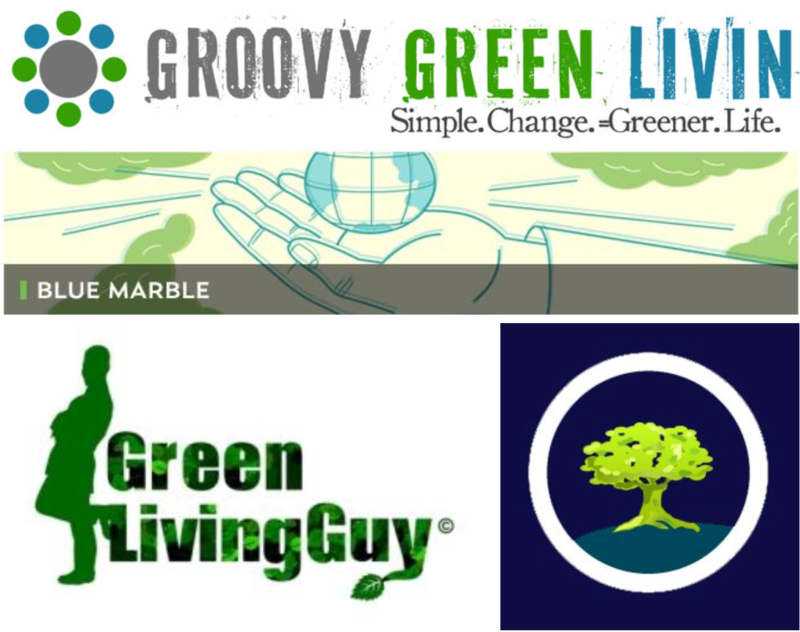 Groovy Green Livin offers some suggestions: Switch to reusable napkins, use a reusable water bottle, wash laundry in cold water, buy safe cleaning products, and go paper towel-less. Some posts I really enjoyed include Everything You Need to Know About Cast Iron, 4 Gadgets to Help You Through a Snowstorm, and Getting to Know Your Oatmeal: The Different Types of Oats. Planetsave features posts about greening your life, science, and energy. It’s part of the Important Media network of blogs. Some posts that caught my eye include Best Green Car of 2015?, Egypt Earns Spot on Renewable Power Developers’ Hot List, and Texas Going Big on Solar: 10GW by 2029. The Texas piece, which originally was published on SolarLove.org, talks about how solar and wind power generation are making significant contributions to the US economy. “Though famous as the epicenter of the traditional US oil and gas industry, Texas is also home to a growing advanced energy market encompassing solar and wind energy, natural gas electricity generation, and cost-effective energy efficiency measures saving money for building manufacturers and owners,” the post says. It then continues to discuss a new report from Navigant Research commissioned by Texas Advanced Energy Business Alliance entitled Advanced Energy in Texas. P.S. Ever wonder how we come up with ideas for our blog profiles? Our handy list of industries and subjects on PR Newswire for Journalists stays top of mind. If you’re a blogger or journalist looking for environmental and green living news, let us know. We’re happy to customize that feed for you on PR Newswire for Journalists. Christine Cube is an audience relations manager with PR Newswire and freelance writer. It briefly snowed on the first day of spring in DC; Christine refuses to believe the cold pattern will continue. Follow her @cpcube.